The opening ceremony of the 24th Azerbaijan International Exhibition and Conference on Telecommunications and Information Technologies was attended by H.E. Mr. Ilham Aliyev, President of the Republic of Azerbaijan, Vice president of the Republic of Azerbaijan and first lady Mrs. Mehriban Aliyeva, H.E. Mr. Ramin Guluzade, Minister of Transport, Communications and High Technologies of the Republic of Azerbaijan, H.E. Mr. Konstantin Noskov, Minister of Digital Development, Communications and Mass Media of the Russian Federation, H.E. Mr. Mehmet Cahit Turhan, Minister of Transport and Infrastructure of the Republic of Turkey, H.E. Mr. Mohammad Javad Azari Jahrami, Minister of Communications and Information Technology of the Islamic Republic of Iran, held at the Baku Expo Center. 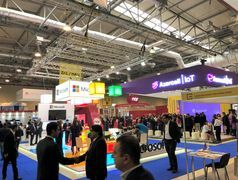 Bakutel 2018 exhibition brings together 230 companies from 20 countries, including leading ICT companies, mobile operators, Internet providers, system integrators, distributors of well-known brands and young developers. The exhibition features national stands of a number of countries, including the USA, Turkey, Belarus, the United Arab Emirates, France, Italy, Poland, Croatia, Iran, and Slovenia. Bakutel goes beyond being an ordinary exhibition in the area of technical achievements; it has already become a unique platform where experts and professionals from various ICT fields gather to offer ample opportunities and the latest developments for all fields of activity that play an important role in ensuring economic sustainability, social well-being and in further raising the living standards of the population. The exhibition has the support of the Ministry of Transport, Communications and High Technologies of the Republic of Azerbaijan, ITU - International Telecommunication Union, Regional Commonwealth in the field of Communications (RCC), Azerbaijan Fund for the Promotion of Export and Investment (AZPROMO) and the National Confederation of the Entrepreneurs (Employers) Organizations of Azerbaijan Republic (AEC), Small and Medium Business Development Agency of the Republic of Azerbaijan. The organizer of the exhibition is Caspian Event Organizers (CEO). Within the Exhibition, Mr. Ciopraga and H.E. 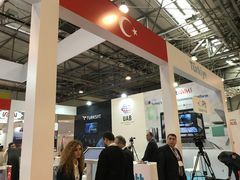 Mr. Turhan had an opportunity for the exchange of opinions on the status of the development of the international transport corridor TRACECA.This year’s exhibition presented IT solutions of new generation for banks, urban transport, retail, Smart City systems, 4-5G mobile technologies, services in the field of fibre-optic and cloud technologies. 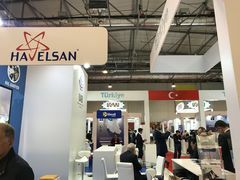 Moreover, about 40% of the total number of participants will be permanent exhibitors of Bakutel. The list of participants is replenished annually thanks to new companies onboard; so, among this year’s debutants are Silk Way Business Aviation, the State Advertising Agency of Azerbaijan (ADRA), Systematics (Russia), Suntech (Poland) and many more.The exhibition provided everyone with the opportunity to learn about the best industry achievements and technologies and to find new partners and investors, as well as effective solutions for the development of their business. 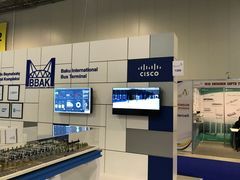 Bakutel 2018, the 24th Azerbaijan International Telecommunications, Innovations and High Technologies Exhibition and Conference will last till the 7th of December. The exhibition marked the beginning of High Technologies Week.